THE POPULATION THAT WAS NOT EXPELLED. The idea that Britain expelled an Argentine population from the Falklands in 1833.
at the United Nations. But it is not true. Joaquín Acuña and his wife Juana Mateo González and his wife Marica. Acuña and González were gauchos who worked for Vernet. Three single men also left, described as “foreigners”: José Viel, Juan Quedy and Francisco Ferreyra. as not one of them appears in Vernet’s accounts; they probably arrived on the Sarandí, as did Máximo Warnes, who is described as a “prisoner” and was probably the first inmate for a proposed penal settlement in the Falklands. In addition, a British seaman, Charles Brasier, and an American seaman, William Drake, were taken aboard the Clio. Vernet’s American settlement manager, Henry Metcalf, left in the Rapid; he is known to have wanted to leave, and he claimed Vernet owed him money. Only 11 civilians left, most of whom were not genuine residents. They were not expelled; they made a free choice. Of the civilian residents, 22 remained at Port Louis: 12 from Argentina (8 gauchos, 3 women and 1 child); 4 were Charrúa Indians from Uruguay; 2 were British, 2 German, one French and one from Jamaica. So over half the population who stayed were Argentinian. Before he left, Captain Pinedo told the Frenchman who stayed, the illiterate head gaucho Jean Simon, that he was to be “Comandante Político y Militar”. Whether Simon agreed to this or not, he certainly never attempted to act as such. But he was loyal to his employer. He defended Vernet’s property against other gauchos who wanted to share it among themselves, and maintained Vernet’s business, which later cost him his life . Argentine historians know very well that he was not expelled. Only the garrison was expelled. They had been in the islands for only three months since arriving on 6 October 1832, and of the 26 soldiers, 10 had been involved in the murder of Mestivier. Nine of them were under arrest aboard the British schooner Rapid. The garrison was in no sense a genuine population. I had great trouble to pursuade 12 of the Gauchos to remain on the Settlement, otherwise cattle could not have been caught, and the advantages of refreshments to the shipping must have ceased. The whole of the inhabitants requested me to move the government in their favour for grants of land. The gauchos were dissatisfied because they were being paid in worthless paper “currency” printed by Vernet instead of silver coins. Onslow sailed in HMS Clio on 10 January 1833, and a few days later another small British ship, HMS Tyne, commanded by Captain Charles Hope, paid a brief visit to Port Louis (14-18 January). He spoke in Spanish to the gauchos, who told him they had been paid in silver by Captain Onslow, whereas Vernet had paid them in worthless paper “currency”. These Gauchos would cheerfully remain on the Island under any Englishman whom the Government may please to appoint..
All this shows beyond doubt that the genuine inhabitants were not expelled or in any way molested. In fact they appear to have looked forward to an improvement in their situation under the British flag. 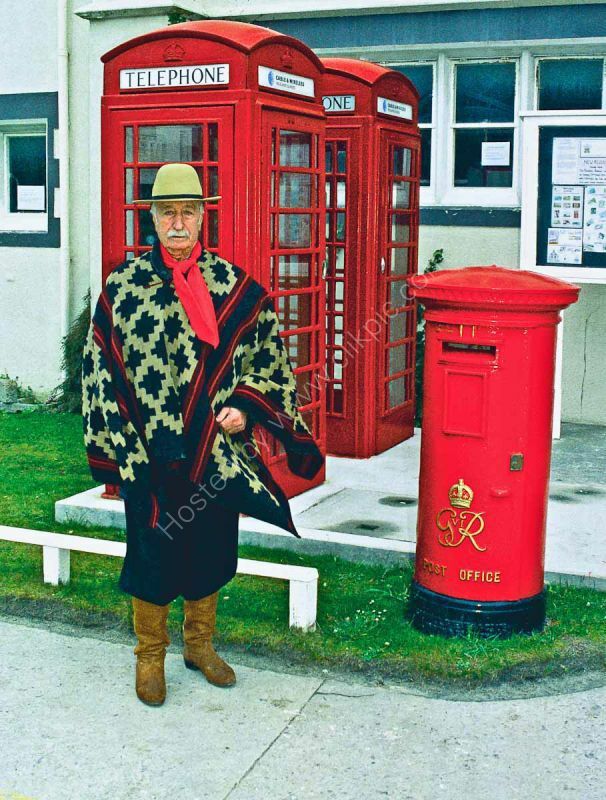 So the Argentine claim that Britain expelled an Argentine population from the Falkland Islands in 1833, which was repeated by Ambassador Mirré at the seminar on 3 December 2007, is untrue and a most serious error. in which a thousand people died. To read the full contents of "Getting It Right"